This entry was posted in Cass family history, Kunkel Family History, McCorkindale Family History, Sepia Saturday and tagged books, Kunkel, McCorkindale, McKenna, Sepia Saturday by cassmob. Bookmark the permalink. 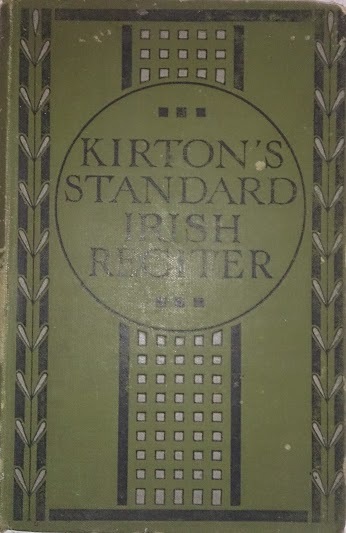 After reading some of the other Sepia Saturday entries this week, as well as yours, I’ve resolved to go and check my bookcase for inscriptions. Thanks Lorraine – hope you make some exciting discoveries. That’s interesting Wendy. I wonder if they were more prevalent in Catholic or private schools? Generally they were awarded at the end of year prize-giving night rather than class-by-class. My grandson just won his first prize at the end of the 2013 school year…suspect there’ll be more ahead. His was a book voucher which he was thrilled with, but that’s not as grand as a book with a bookplate. 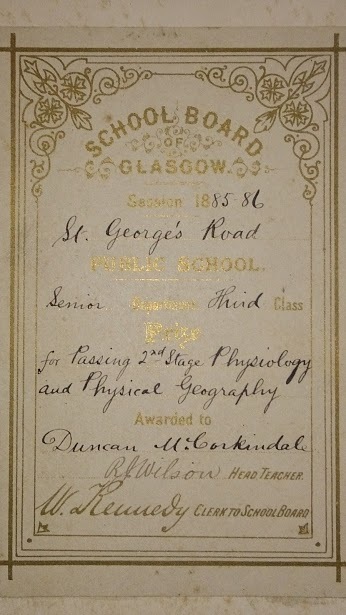 I love those old bookplate inscriptions and I’m now reminded I won a prize myself; I wonder where that book is. Pleased to add to your “to do” list Little Nell! I committed the heresy of taking out the prize plate from a book of mine that I didn’t want to keep. Will my descendants curse me I wonder. 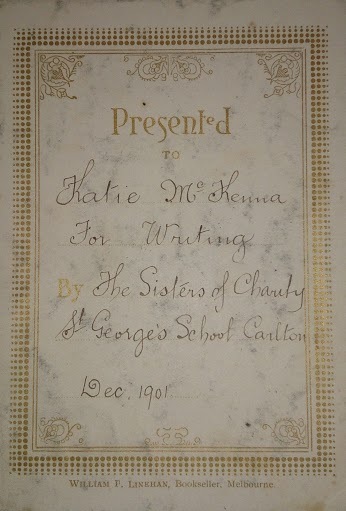 I thought I was doing well when I found an inscription dated 1947, but 1885/1886 is remarkable. Thanks Bob – I’m not even sure how some of these items came to me, other than via my grandmother. But why did she have her brother’s prize when he had a family of his own. Perhaps he left it behind in Glasgow when he emigrated then she brought it when they came later.